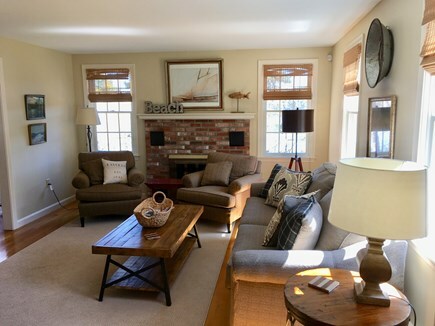 This two story, three bedroom, two full bath cottage was built in 1980 with one bedroom down and two upstairs. It sits on Widow Harding Pond, at the end of a private lane bordering the Nickerson Conservation area. Enjoy beautiful views of the pond from almost every room. 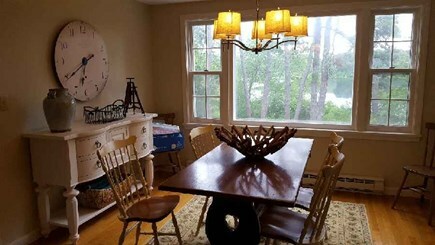 It provides private pond living with great access to area attractions. 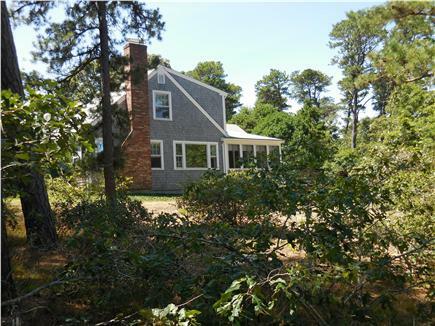 The cottage is .6 miles from First Encounter and Cole Road Beachs and 1.6 miles off Route 6. 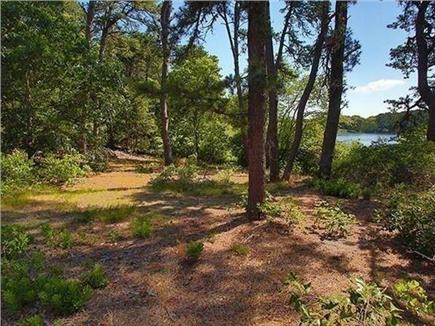 Wiley Park is just around the corner with walking trails and another fresh water beach. While just over a mile up the road you will find Eastham Windmill Green which hosts weekly concerts and art shows throughout the summer. Whether sipping morning coffee or an afternoon libation, you and your family will enjoy tranquil days and gorgeous pond views. 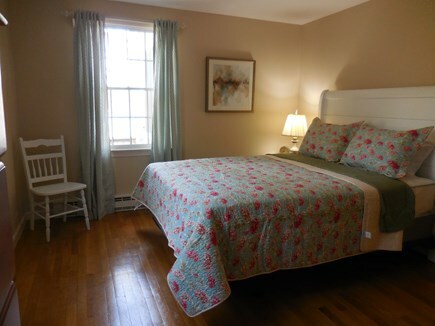 The cottage has the master bedroom with a queen bed, living, dinning, kitchen, laundry, full bath and screened porch on the main floor. 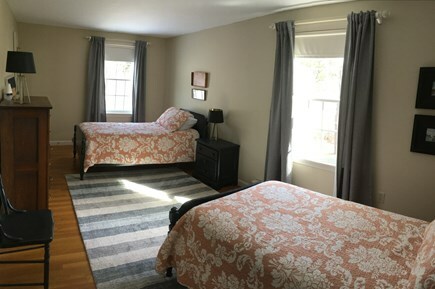 A full bath and two bedrooms on the second floor with a queen bed in one and two twins in the other. We completed renovating the kitchen and bathrooms with new cabinets, counter tops and flooring. The rest of the cottage has been repainted and refurnished. 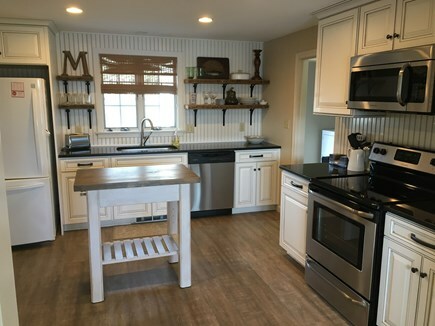 The cottage is fully equipped and amenities include a dishwasher, washer/dryer, cable TV, internet, and a BBQ grill and a new outdoor shower. There is also private pond access for your enjoyment. 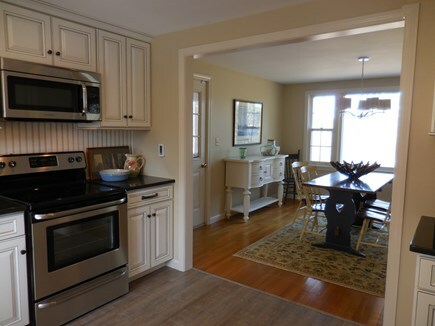 Located nearby is the Cape Cod Rail Trail/bike path leading to hours of walking and biking fun. 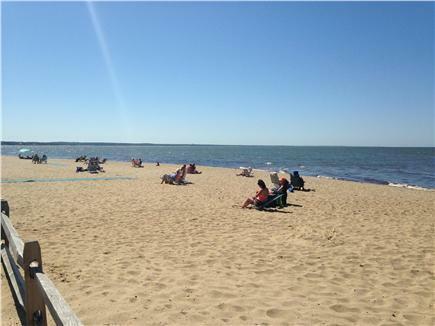 A short drive brings you to Eastham's Coastguard Beach and Nauset Light Beach. Both are open to the public and boast sweeping views of the Atlantic. Finally, the cottage is very close to a local grocery, deli and liquor store. Additional pricing info: Multiple week discount, State and local taxes of 12.45% will apply. The house: The house is larger than it looks in the pictures, with 3 good sized bedrooms (1 downstairs, 2 up) and 2 good sized bathrooms (one with walk-in shower, the other with shower-tub), plus a lovely dining room with gorgeous view of the pond, screened porch, large patio. It had everything we needed (including cable TV, internet, kitchen supplies, etc [bring your own linens]). It was extremely clean (great for people with allergies) with hardwood or hardwood-like floors, top-loading washer (no mold! ); well taken-care of, large recycling bin. It felt more like a home than a rental. The site on the end of a cul-de-sac on a pond was so peaceful and quiet; we enjoyed hanging out in the house and the yard and watching a family of woodpeckers in the nearby trees. Short-ish walk (~15 min) to First Encounter Beach and short drive to other excellent beaches. The owner: Super-responsive and easy to work with. Answers right away. Provided very useful guidebook to the house and town. Provides beach umbrella, etc. This summer we spent three wonderful weeks here. The home has been newly refurbished and updated. Nestled on a serene private way overlooking a pond. 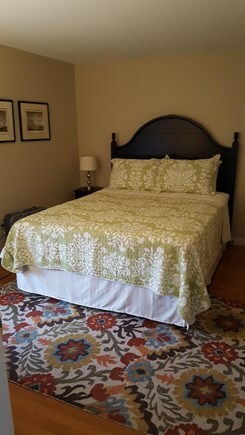 Location was ideal, a short walk to the beaches of Massachusetts Bay and a ten minute drive to the Cape Cod National Seashore. The home was immaculate and well appointed for our stay. Our family has been vacationing on the Cape for 4 generations. The Last 20 years we've spent our summers in Eastam, on Widow Harding pond. We love the pond views and the privacy this home affords. 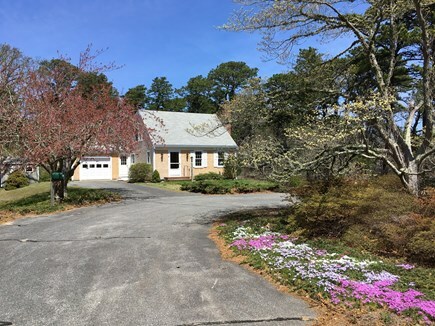 This is our second summer renting and look forward to sharing our home with those who love the Cape and who we know will love this location. We love this home because it affords the best of the Cape. We're at the end of a private lane, with 200+ feet of pond frontage and a conservation area at our backs. First Encounter beach is just down the road. 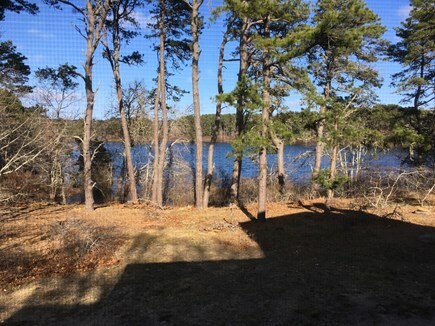 We enjoy the beautiful views of the pond and morning walks to First Encounter beach. The pond is great for a swim or a float in a tube. There are only 9 houses on the pond, it's so private and peaceful. Sun rises over the pond and sets over First Encounter beach. There is nothing like a Cape Cod summer! Eastham is a great location. Private and tranquil, with two ocean side beaches and many bay side beaches. Close to Orleans center shopping and restaurants. 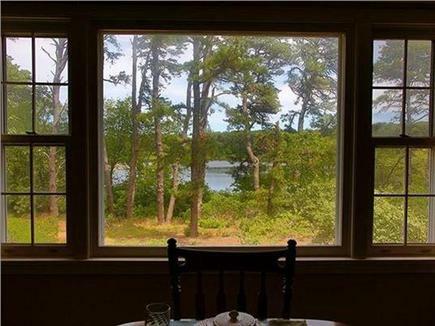 35 min from P-Town for a whale watching tour, great shopping or a fun lunch or dinner. The Windmill green just a mile and a half away hosts weekly evening concerts as well as festivals and arts and crafts fairs throughout the summer.